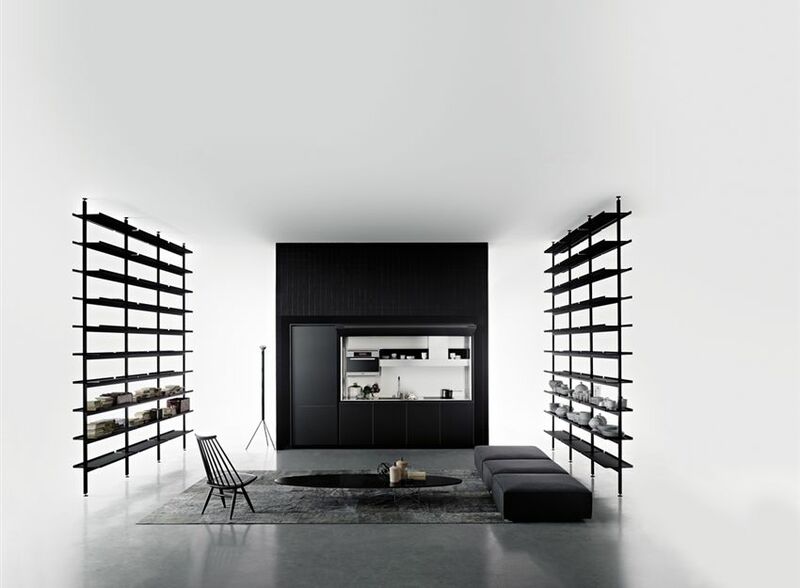 ON/OFF ST // The On-Off kitchen is now proposed with a more flexible design. 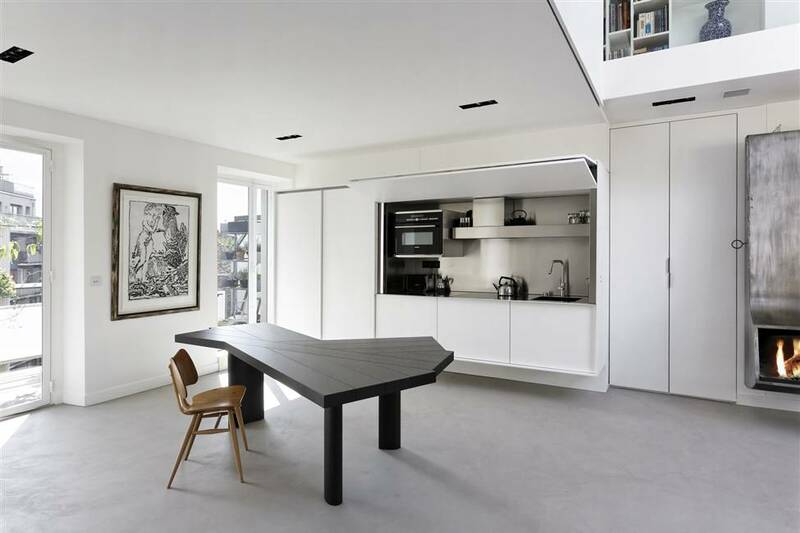 The unique worktop area concept is always concealed by folding doors, which open upwards electronically. 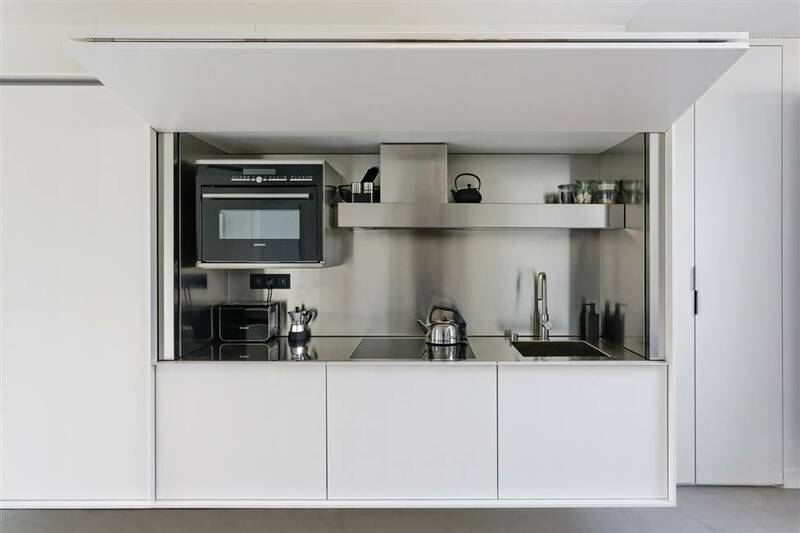 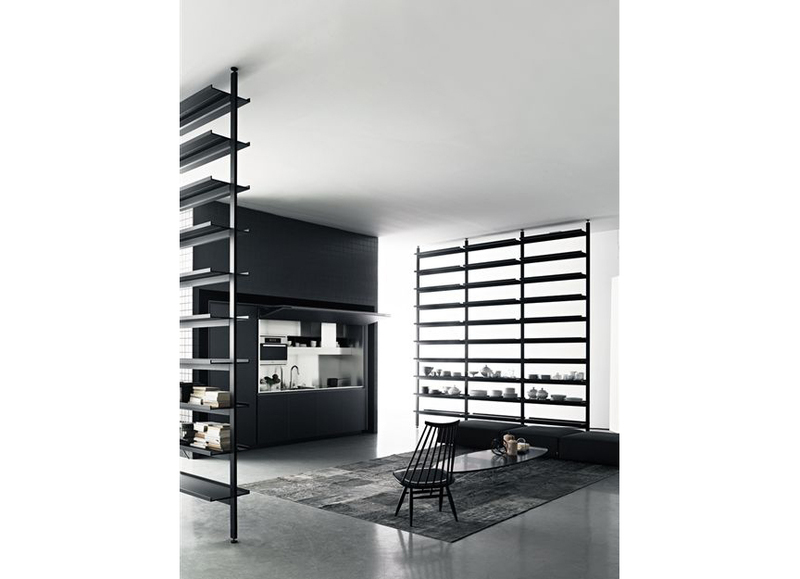 The design can be completed using floor-mounted tall modular units and other standard kitchen units.